This collaborative initiative provides learning, mentorship and networking opportunities to help women build financial capital, business skills, peer networks and confidence. Rhyze is currently developing programming to support women, no matter their career path or stage. 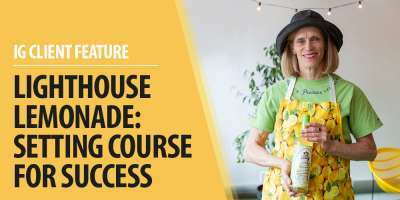 To raise the number of women-owned businesses in Guelph and Wellington County to 30% by 2025, generating prosperous communities and improved wellbeing for all who work and live within the region. A resilient, holistic and collaborative community that shares, supports, benefits from, and aids in the development of resources that cultivate women’s entrepreneurial spirit in our region. Rhyze is inspired by the rhizome, a root system that some plants use to grow. While the roots of most plants generally point downward, the rhizome grows horizontally underground. The rhizome sends shoots up from its nodes, growing what appear to be many separate plants. These seemingly unrelated individual plants are actually all connected through a system that’s not immediate visible to the eye. Rhizomes are resilient and determined: just like women. We know you’ll agree that this metaphor is a fitting description of the mission and vision for Rhyze. 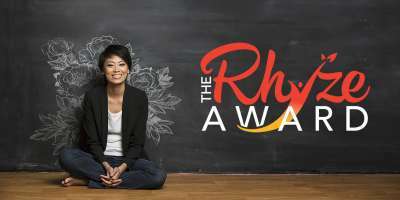 The Rhyze Award is an annual award that provides funding and mentorship local female entrepreneurs. The Rhyze Academy is an educational program developed to support women entrepreneurs with business skills and work-life integration. Rhyze On the Road is a new program for local youth with the goal of strengthening leadership, self care and confidence. 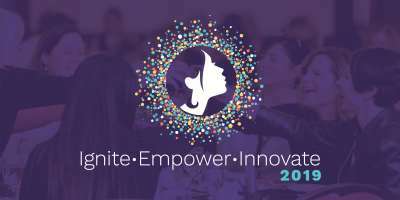 The Rhyze Project engaged over 300 women in critical research to help identify, design and develop resources for female entrepreneurs that were missing in Guelph and Wellington County. This work laid the foundation for our current Rhyze programming. Follow @therhyzeproject for project updates, events and entrepreneurial news! Fill out our newsletter sign-up form to receive emails about all Innovation Guelph news and events, including Rhyze. If you have a specific question about Rhyze or Innovation Guelph, please email us.